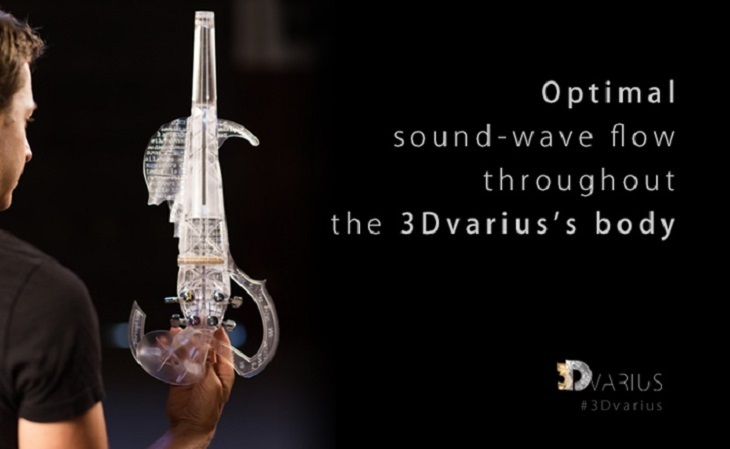 For those people who love music, the creation of 3Dvarius is definitely something that they have to look forward to. It will never be that easy to play the violin and you still have to attend classes if you want to play it at a higher level. But this is not the case if you will consider the technology created by Laurent Bernadac. Laurent Bernadac and Géraldine Puel who are both French are the people responsible for the creation of a 3D printed violin. They were inspired by Antonio Stradivari works that made them decide to create their own violin. Though they can no longer surpass the success that Stradivari had attained, producing a modern type of violin will surely capture the interest of many people from all over the world. The 3D printed violin has superior soundwave, high gain without creating noise, great pickup, and with an acoustic sound. Bernadac who is a mechanical engineer and violinist have already thought of this idea a few years ago wherein he wanted to come up with an electric violin that can provide the needs of a classical musician. It took him four years to research what to use for his violin where he had worked with Puel. They have successfully completed the second prototype by using an SLA 3D printer. The first prototype was made by Bernadac that is quite heavy compared to the second prototype where he made some improvements in order to achieve his goals about the exact electric violin that he wanted to make. Pauline shows perfect symbiosis because it is lightweight that makes it easier for musicians to move freely with any shoulder rest. There is no preamp required because it already has a quality sound sensor. Aside from that, this instrument was designed to avoid tendonitis because the center of gravity will be placed near the shoulder. 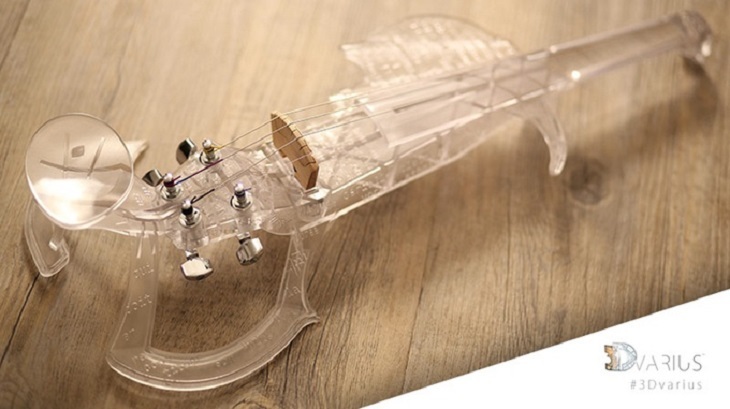 When creating a single violin, it will take around 24 hours to 3D print one. It is also important that you clean the body of the instrument with utmost care and accuracy wherein you will need to sand the correct areas. You also have to do the tuning and the stringing of the violin so you can start playing the instrument. 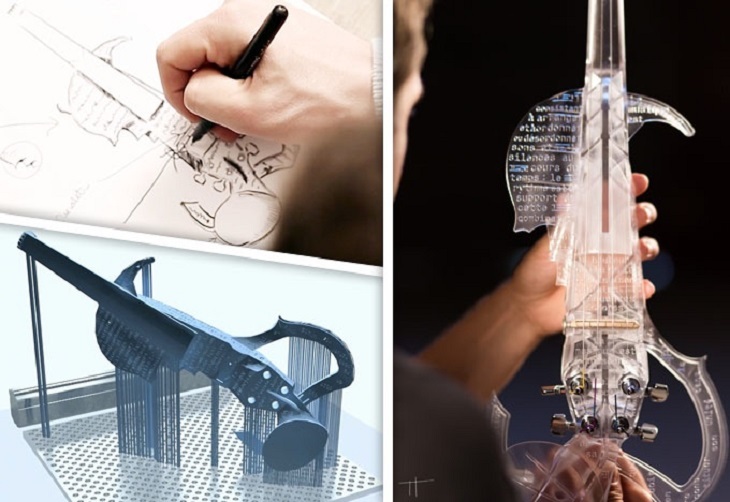 Bernadac and his team are planning to raise €50,000 which is equivalent to $56,586 USD until June 17 which is why they have conducted a Kickstarter campaign where they will use the money in producing small numbers of 3D printed violins. For those who are in a hurry to have their own violin then they can the 3Dvarious limited edition for €6,299. If you are not a musician but you have an instrument with you then it is worth for you to check the Kickstarter page to know more about the musical entertainment. You might be captivated with the talents that Bernadac together with his friends can show you thus making it hard for you to leave their concert that will be held in Paris.